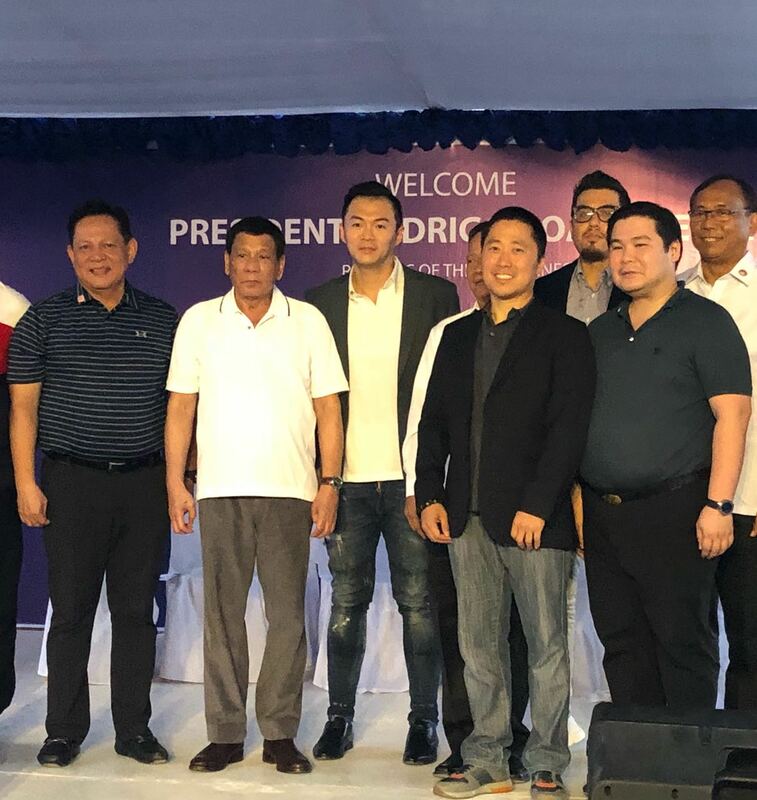 Manila, Philippines – 31 July 2018 – Private property developer Northern Star Gaming & Resorts Inc. (Northern Star) and government-owned Cagayan Economic Zone Authority (CEZA) are pooling their resources to build Crypto Valley of Asia (CVA), a planned development estate designed to push economic growth further in Northern Luzon. Crypto Valley of Asia Launch (left to right) CEZA CEO Sec. Raul L. Lambino; President Rodrigo Roa Duterte; Northern Star Director Jack Ser; Bureau of Customs Commissioner Isidro Lapeña, Northern Star Chairman Enrique Y. Gonzalez and other potential CEZA investors at the launch of the multi-million-dollar state-of-the-art facility in Cagayan Special Economic Zone and Freeport in Sta. Ana, Cagayan. Built with the Sierra Madre Mountain Range as a backdrop, Phase 1 of CVA consists of a 25-shop housing development inside the cyberpark developed in compliance with the strict security requirements of licensed OVE’s locating in CEZA. It will showcase services and amenities such as co-working and living spaces, business incubation and acceleration hubs as well as back offices of overseas virtual exchanges (OVEs) and service providers to the global crypto space. Blockchain Academy, in collaboration with Hanwha of Korea, will also be among the premier locators. The academy is the realization of the MOU signed during President Duterte’s state visit to Korea last June. A major anchor enterprise is the Blockchain Academy, a partnership project with Hanwha of Korea in line with the MOU signed during President Duterte’s state visit to Korea this year.